A new government anti-extremist strategy will ban thousands of Britons from traveling to conflict zones, target Sharia courts, and make it harder to obtain citizenship. The reforms come alongside news that 320 ISIS fighters have returned to the UK. “In the past, there has been a risk that the Government sends an ambivalent and dangerous message – that it doesn’t really matter if you don’t believe in democracy,” says the text of the leaked Home Office-authored draft document, quoted in the Telegraph. The strategy is expected to be made public in the coming weeks, and will become effective as soon as it is rubberstamped by the government. It represents a fundamental retrenchment against Islamists – both, those at home, and potential recruits for international terrorist conflicts abroad. 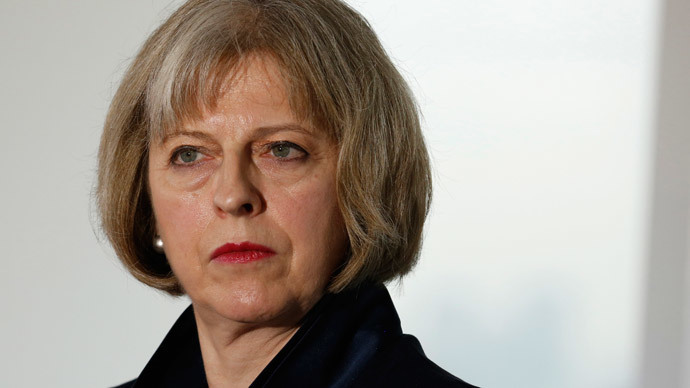 Repeatedly mentioning “British values,” it contains a foreword by Conservative Home Secretary Theresa May, and is a culmination of her campaign to “undermine and eliminate extremism in all its forms,” which resulted in tough new legislation being passed in Parliament last November. The government will introduce new rules that would make it easier to remove a much greater number of suspected terror recruits from commercial flights traveling to conflict zones. While a no-fly list already exists, UK security forces have been embarrassed by revelations of not just suspected extremists, such as the London-raised Mohamed Emwazi, known as the executioner "Jihadi John," being able to leave the Britain, but also women and children. Senior National Coordinator for Counter Terrorism, Helen Ball, announced on Sunday that young and underage females, who were reported missing by 22 families over the past year, were able to travel to Syria without impediment. From now on, as well as the list, companies operating potential terrorist routes would have to ask for “authority to carry” passengers after presenting a boarding list to government agencies – something that is nominally done, but not always complied with – or face a £50,000 fine. The Home Office has told the Telegraph that it now believes 320 jihadists, who have participated in the conflict in Syria and Iraq have returned to the UK, up from a previous estimate of 250. “Two dozen” of those have already been involved in terrorist plots inside the United Kingdom, which have been prevented, according to the authorities. 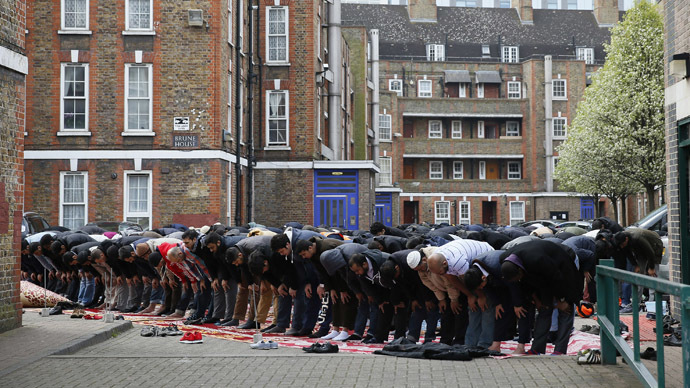 The initiative proposes an “independent review” of Sharia courts and councils, which it says are creating a “parallel system of law.” Around 85 of these institutions – which have no official legal authority, but are used to settle financial and family issues between Muslims – are thought to operate in the UK, often next to mosques. The document promises not only to root out extremism in schools, but also to “take steps to ensure the safeguarding of children in hitherto unregulated places,” by preventing radical religious teachers from contacting minors. One of the Trojan Plot teachers is continuing to tutor students in a private center, and would be banned from doing so under the new laws. Among other proposals, is restricting asylum to valid refugees who oppose “British values,” as well as making anyone on the citizenship track “prove adherence to British values and active participation in society.” The UK currently operates a basic citizenship test, which amounts to a quiz that also serves to ascertain the applicants’ command of English. Under new proposals, those who fail to study the language will also get their benefits stopped. Membership in the Muslim Brotherhood, which has millions of members across the Arab world, will also be treated as an “ideological precursor to terrorism”. Among more general practices to be addressed by the new strategy are also female genital mutilation and honor killings.